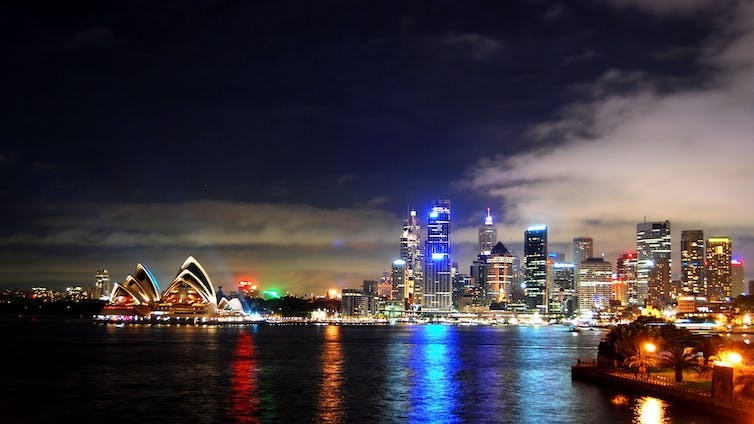 The City of Sydney is aiming to get 50% of its electricity from renewables by 2030. 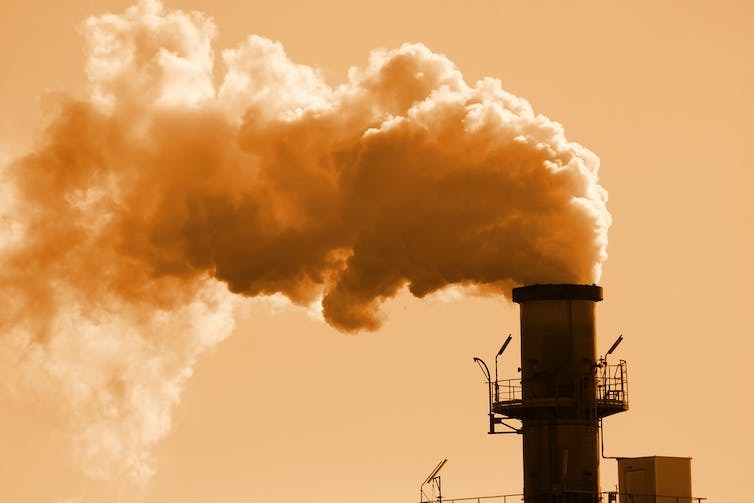 A wide range of industrial processes have released greenhouse gases into the atmosphere. The most comprehensive collection of atmospheric greenhouse gas measurements, published today, confirms the relentless rise in some of the most important greenhouse gases. The data show that today’s aggregate warming effect of carbon dioxide (CO₂), methane (CH₄) and nitrous oxide (N₂O) is higher than at any time over the past 800,000 years, according to ice core records. Building on half a century of atmospheric measurements by the international research community, we compiled and analysed the data as part of a group of international scientists, led by Malte Meinshausen from the University of Melbourne in collaboration with CSIRO. Together, the data provide the most compelling evidence of the unprecedented perturbation of Earth’s atmosphere. They clearly show that the growth of greenhouse gases began with the onset of the industrial era around 1750, took a sharp turn upwards in the 1950s, and still continues today. Research has demonstrated that this observed growth in greenhouse gases is caused by human activities, leading to warming of the climate – and in fact more than the observed warming, because part of the effect is currently masked by atmospheric pollution (aerosols). The new collection of records comes from measurements of current and archived air samples, air trapped in bubbles in ice cores, and firn (compacted snow). The data cover the past 2,000 years without gaps, and are the result of a compilation of measurements analysed by dozens of laboratories around the world, including CSIRO, the Bureau of Meteorology’s Cape Grim Station, NOAA, AGAGE and the Scripps Institution of Oceanography, among others. These data include 43 different greenhouse gases released into the atmosphere from dozens of human activities and industrial processes. While CO₂, CH₄ and N₂O are on the rise, some other greenhouse gases such as dichlorodifluoromethane (CFC-12) are slowly starting to decline as a result of policies to ban their use. Most of us know that CO₂, CH₄ and N₂O are among the principal causes of human-induced climate change. They are found in the atmosphere in the absence of human activity, but the increases in their concentrations are due to human activities such as burning fossil fuels, deforestation and agriculture (livestock, rice paddies, and the use of nitrogen-based fertilisers). They are all from biological or fossil fuel sources. But there is much more when it comes to greenhouse gases. Our analysis features a further 40 greenhouse gases (among hundreds that exist), many of them emitted in very small quantities. Although many might play a small role, dichlorodifluoromethane (CFC-12) and trichlorofluoromethane (CFC-11) are the third and fifth most important greenhouse gases respectively, in terms of their overall contributions to global warming. Most of these gases are emitted exclusively by humans, the so-called synthetic greenhouse gases, and have been used variously as aerosol spray propellants, refrigerants, fire-extinguishing agents, and in the production of semiconductors, among other industrial applications. Synthetic greenhouse gases include chlorofluorocarbons (CFCs), hydrochlorofluorocarbons (HCFCs), hydrofluorocarbons (HFCs), most perfluorocarbons (PFCs), sulfur hexafluoride (SF₆), and others. Several, most famously CFCs, also deplete the ozone layer and are regulated under the Montreal Protocol. Others, such as HFCs, were actually first produced in large quantities to replace the ozone-depleting substances, but unfortunately turned out to be potent greenhouse gases too. Importantly, all 43 greenhouse gases offer opportunities to tackle climate change, either by reducing their emissions or, in the case of synthetic gases, finding non-greenhouse alternatives. How much a greenhouse gas contributes to warming depends on three factors. The first is how much gas is emitted. Second is how much a kilogram of that gas will warm the planet once it’s in the atmosphere. And third is how long the gas will remain in the atmosphere. CO₂ is the most important greenhouse gas in warming the planet, despite being the weakest greenhouse gas per unit of mass. Its contribution to warming comes from the sheer scale of emissions (40 billion tonnes emitted each year), and the fact that a large part effectively hangs around in the atmosphere for hundreds or thousands of years after emission. The resulting concentration makes CO₂ responsible for about 65% of all warming due to greenhouse gas emissions from human activities. This makes CO₂ the most important factor in determining future global warming. Unless we can cut CO₂ emissions to zero by the second half of this century, primarily by finding alternatives to fossil fuels, the world will continue to warm beyond the 2℃ target of the Paris Agreement, not to mention the aspirational 1.5℃ goal. Provided by University of Melbourne http://climate-energy-college.org/more-climate-spirals. Methane (CH₄) is the next most important greenhouse gas, with current concentration contributing about 15% of overall human-induced warming. Most synthetic greenhouse gases have very high global warming potentials. The one with the highest current emissions is the refrigerant HFC-134a, which is 1,300 times more potent than CO₂ (per mass unit emitted). Other synthetic greenhouse gases have even more extraordinary warming potentials, with CF₄ (used in the semiconductor industry) and SF₆ (from industrial electricity transformers) being 6,500 and 23,400 times more potent than CO₂, respectively. CFC-12, a former refrigerant, is both a potent ozone-depleting substance and a powerful greenhouse gas. Although its emissions and atmospheric concentrations are now declining thanks to global compliance with the Montreal Protocol, it is still the third most important greenhouse gas and responsible for 6-7% of all warming since the beginning of the industrial era. What are these GHG data good for? Our new compilation of greenhouse gas data is the most complete and robust picture to date showing the main drivers of climate change, and how we humans are altering the Earth’s atmosphere. Global temperature is now about 1℃ warmer on average than pre-industrial temperatures. The new database also serves as an accurate measure of greenhouse gas concentrations resulting from past human and natural emissions, which will in turn help to improve the performance of climate models. Building trust and confidence in climate projections starts by testing and running models with real data during historical periods. The new climate projections will feed in the next major report from the Intergovernmental Panel on Climate Change, due to be released in 2021. Continued greenhouse gas monitoring, including significant contributions by Australia, is crucial to understand how the planet reacts to human interference, and to better plan for adaptation to a changing climate. Global and regional greenhouse data can help nations to track the long-term global targets under the Paris agreement, and to inform actions needed to stabilise the climate.